"Organizational aspects concerning the deployment of RPAS in emergency-situations"
#35	"Training and Support system in the Cloud for improving the situational awareness in Search and Rescue (SAR) operations"
#16	"On-line Optimization of Flexibility and Low Energy for Redundant Manipulator"
#19	"A New Fault Tolerance Method for Field Robotics Through A Self-Adaptation Architecture"
#03 "Emergency Landing for a Quadrotor in Case of a Propeller Failure: A PID Based Approach"
#51 "Safety Considerations for Small Unmanned Aerial Systems with Distributed Users"
#20 "Teleoperation of mobile robots using hybrid communication system in unreliable radio communication environments"
#13 "A Hybrid Lossless and Lossy Compression Scheme for Streaming RGB-D Data in Real Time"
#36 "Simulated Environment for Wirelessly Controlled Robots Using the Natural Behavior of Radio Waves"
#02 "An Interactive Visualization System for Urban Search & Rescue Mission Planning"
#34 "A Microphone Array Configuration for an Auditory Quadrotor Helicopter System"
#10 "Interacting with a Virtual Destroyed Environment Constructed from Real Disaster Data"
#21 "An Interdisciplinary Approach to Autonomous Team-based Exploration in Disaster Scenarios"
#49 "Rendezvous Through Obstacles in Multi-Agent Exploration"
#25 "Directed Exploration for Goal Oriented Navigation in Unknown Environments"
#26	"Frontier Based Exploration with Task Cancellation"
#11 "Image moments-based velocity estimation of UAVs in GPS denied environments"
#56 "Visibility-based UAV path planning for surveillance in cluttered environments"
#52 "Characteristics of Indoor Disaster Environments for Small UASs"
#08 "Aerial-guided Navigation of a Ground Robot among Movable Obstacles"
#07 "The Open Academic Robot Kit: Lowering the Barrier of Entry for Research into Response Robotics"
#23	"Experimental Determination of Control Parameter Intervals for Repeatable Gaits in Modular Snake Robots"
#33 "A Sound-based Online Method for Estimating the Time-Varying Posture of a Hose-shaped Robot"
#54 "Evaluation of Snake Robot's Behavior Using Randomized EARLI in Crowded Obstacles"
#55	"Semi-autonomous Centipede-like Robot with Flexible Legs"
"On the 2000 eruption of Mt. Usu and disaster risk management"
"Humanoid Robotics and Disaster Response"
#60	"Field Report: Civil Protection Exercise Gas Storage"
#64	"R³: Request a Rescue Robot"
#61 "Passive Brachiation. Towards Motion in Trees with Robotic Snakes"
#63	"Time-Variant Chemical Plume Tracing Inspired by the Silk Moth"
#65	"Aerial Manipulator Aimed for Door Opening Mission"
#18 "The HCUAV project: Electronics and software development for medium altitude remote sensing"
#46	"A Nonparallel Hexrotor UAV with Faster Response in Position Control"
#37	"UAS deployment and data processing during the Balkans flooding"
#31 "Observation and Measurement in Disaster Areas using Industrial Use Unmanned Helicopters"
#15 "Task Priority Control for Aerial Manipulation"
Angel Santamaria-Navarro (IRI, CSIC-UPC), Vincenzo Lippiello (University of Naples Federico II), Juan Andrade-Cetto (IRI, CSIC-UPC)"
#24	"Real-Time Point-Cloud Data Transmission for Teleoperation using H.264/AVC"
#53	"Real-Time Moving Objects Tracking for Mobile-Robots Using Motion Information"
#30	"Fast and viewpoint robust human detection for SAR operations"
#43	"Half Diminished Reality Image Using Three RGB-D Sensors for Remote Control Robots"
#50 "Development and Calibration of KaRoLa, a Compact, High-Resolution 3D Laser Scanner"
#12 "Improvement of Slope Traversability for a Multi-DOF Tracked Vehicle with Active Reconfiguration of Its Joint Forms"
#05 "Development of Robotic Spreader for Earthquake Rescue"
#27	"Development and Field Testing of UAV-based Sampling Devices for Obtaining Volcanic Products"
Open discussion to prepare for the RAS workshop that will be held as a part of UN Conference on Disaster Risk Reduction (UN-WCDRR) on March 14-18 in Sendai, Japan. This plenary talk is shared with the workshop on Oct. 27 afternoon. Geert De Cubber was born on February 13, 1979 in Halle, Belgium. In 2001, he received the degree of Master in Engineering at the Vrije Universiteit Brussel (VUB), with as specialization Electro-Mechanical Engineering. He then obtained a PhD. for his research in the field of 3-dimensional reconstruction of natural scenes perceived by mobile robots. Geert joined the Unmanned Vehicle Centre of the Belgian Royal Military Academy (RMA) where his main task is to apply computer vision techniques to mobile robots, rendering these robots able to perceive, analyze, and ? to some degree ? understand their environment. More specifically, three-dimensional reconstruction and cognitive vision approaches are investigated with the aim to port the capabilities of the human eyesight to intelligent robots. Currently, he is the coordinator of the European project ICARUS which targets the development of unmanned tools (land, air and ground robots) for search and rescue activities after a major crisis (earthquake, tsunami). Remotely piloted aircraft systems (RPAS) are more and more being used by emergency management authorities, as they prove to be a very valuable tool, notably for increasing the situational awareness of the first responders. However, these crisis managers are still confronted with important bottlenecks impeding the practical usage of these novel technological tools. Organizational, procedural, legal, ethical and deployment issues need to be tackled prior to starting any operation with RPAS in order to ensure the possibility of rapid deployment in an international context when a disaster does strike. In this presentation, an overview of these "non-technological" aspects requiring community attention are discussed, with the aim of starting a discussion fostering the uptake of RPAS technology for crisis management. Hiromu Okada is an emeritus professor of Hokkaido University and a board member of Crisis and Environmental Management Policy Institute (CeMI). He predicted the eruption of Mount Usu in Hokkaido in 2000, leading to the safety evacuation of residents more than 15,000. He is known as "the doctor in charge of Usu Volcano." 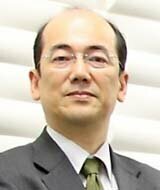 Masayuki Inaba is a Professor in the Information Science and Technology, Graduate School at the University of Tokyo. He graduated from the department of Mechanical Engineering at the University of Tokyo in 1981, and received M.S. and Ph.D. degrees from the graduate school of Information Engineering at The University of Tokyo in 1983 and 1986 respectively. He was appointed as a lecturer in the Department of Mechanical Engineering at The University of Tokyo in 1986, an associate professor in 1989, and a professor in the Department of Mechano-Informatics in 2000, and also a professor in new Department of Creative Informatics from 2005. 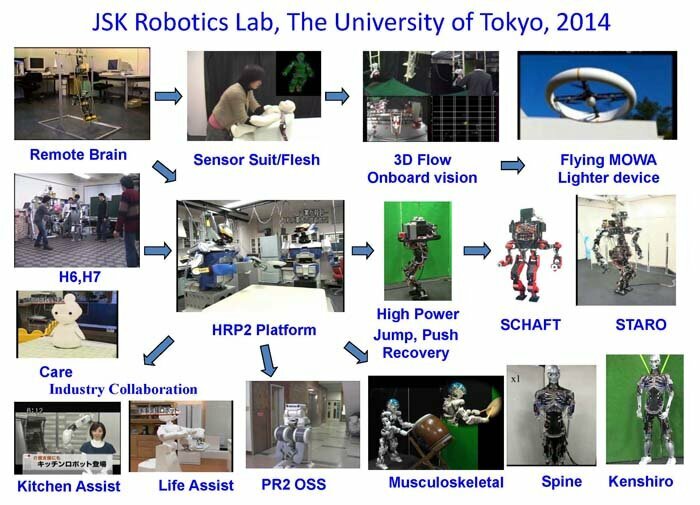 He is directing the JSK Robotics Lab at The University of Tokyo. His research interests include key technologies of robotic systems and software architectures to advance robotics research. His research projects have included hand-eye coordination in rope handling, vision-based robotic server system, remote-brained robot approach, whole-body behaviors in humanoids, robot sensor suit with electrically conductive fabric, flexible spined humanoid and developmental JSK mother projects with the remote-brained system environment, life-size assistive humanoids, musculoskeletal spined humanoid series, whole-body soft sensor tissues, IRT home assitance with personal mobility, open-source robotics middlewares, high speed-and-powered legs for the next generation humanoid, on the budget from MEXT. The graduate students from his lab created a company SCHAFT with the humanoid technology to apply DARPA Robotics Challenge in 2012 and achieved first place in DRC Trials. He received several awards including outstanding Paper Awards in 1987, 1998 and 1999 from the Robotics Society of Japan, JIRA Awards in 1994, ROBOMECH Awards in 1994 and 1996 from the division of Robotics and Mechatronics of Japan Society of Mechanical Engineers, and Best Paper Awards of International Conference on Humanoids in 2000 and 2006 with JSK Robotics Lab members. Humanoid robotics is the research on intelligent robots that perform tasks which humans are capable of, in human environments, using tools used by humans. The DARPA Robotics Challenge that began in 2012 was designed to be a disaster response challenge with the goal of having a single robot capable of performing the initial disaster response in human environments, using equipment and tools used by humans, within the first twenty-four hours of the disaster' s occurrence. At times when disasters occur, intelligent robots that perform tasks which only humans could perform, in human environments using tools used by humans, are wanted as disaster response robots. This talk will provide an introduction to the research conducted at the University of Tokyo, from intelligent robots research to the current humanoid research, as well as the tasks anticipated in the Disaster Response Challenge, participating team's approach, and the situation of Japan, which is advancing towards the finals. "Obstacles on the way to a broad deployment of robot technology in disaster response"
Due to great advances in research and technology recently robots - mainly unmanned aerial vehicles, but also ground, underwater and surface vehicles ? gained a lot of attention and interest by national and international organizations concerned with disaster response. There are many interesting examples where robot technology has been successfully contributed to the mitigation of disasters such as hurricane Katrina, Tohoku earthquake and tsunami, and recent floods on the Balkan. Although, the technology has been proven to be useful and mature a broad deployment of robot technology and all neighboring technologies such as computer vision and mapping is hardly seen. Obviously, there are still a number of serious obstacles that prevent a broad deployment. There are still a number of unsolved technical problems such as performance, robustness, endurance, and operability. These questions will be usually addressed by technical programs of events like the SSRR. In this special session we like to target other groups of obstacles such as organizational, operational, tactical, legal, and ethical issues. For this session we like to invite responders, policy makers, researchers and industry to discuss which obstacles are in the way and how these obstacles can be removed. It is envisioned to collect these issues but also best practice examples and to initiate the development of a road map. Are licenses necessary to operate rescue robots? NCCR Robotics: Switzerland's Rescue Robotics Grand Challenge. Lesson Learned form international Missions. Salamander robots, the obstacle lies beyond waterproofing. Standard Test Methods for Robot Procurement and Operator Training. "on Humanitarian Robotics Roadmap for Safety, Security and Rescue to Strengthen Resilience"
We will make discussion to prepare for the RAS workshop that will be held as a part of UN Conference on Disaster Risk Reduction (UN-WCDRR) on March 14-18 in Sendai, Japan. This is the largest conference of UN Disaster Risk Reduction held every ten years. Ministers from all over the world will participate in the conference, and it has major impact on the policy of each nation. It is surprizing that the pre-document of post-2015 action framework does not include much about technologies, and almost nothing about robotics. We would like to throw a stone by organizing a public forum or a talk in main session.